Here you’ll find the latest news snippets we have picked up on. Please contact us if you think there is something we should feature here. Presented by Dr. Ruth Wareham, Humanists UK’s new Education Campaigns Manager. Time: 7pm Free Entry. All Welcome. Free parking in school car park or on-street parking. Stoke Green, Coventry, has just welcomed its own Green Man, alongside a new avenue of trees, which will in time, replace some elderly horse chestnuts. Thanks to Bob Jelley for photo. On Remembrance Sunday local Humanists were represented in wreath laying at ceremonies in Coventry, Bedworth, Leamington, Nuneaton, Rugby and Warwick. Many thanks to Bob Jelley for organising this and all the volunteers taking part. Serving vicar wins Secularist of the Year. Click here for full story. At the Grenfell Tower National Memorial Service held at St Paul Cathedral this morning it was announced that the service was for people of all faiths and none. That it included people of no faith was also mentioned on the BBC TV’s lunchtime news bulletin. Does this mean that the statistics showing a majority of UK citizens have no faith (53% according to the latest British Social Attitudes survey) are now accepted? Let’s hope so. Joan Bakewell wins Humanist of the Year 2017 award. Click here for Humanists UK article. George Broadhead comments in our December newsletter. NSS accuses Welby of ‘cynical abuse of religious privilege’ over Lords education debate. Latest British Social Attitudes reveals 71% of young adults are non-religious, just 3% are Church of England. See our latest post for Dr. Brian Nicol’s opinion piece on faith schools. Ofsted head criticises segregation as Islamic school is taken over. NSS report here. See our post for George Broadhead’s thoughts. Running camps in the UK since 2009, Camp Quest UK provides a varied, stimulating and nurturing environment for young people. We mix physical activities like archery and climbing with mental activities like philosophical discussion and craft. Our staff are volunteers who want to give young people a place to ponder the bigger questions in life among similarly inquisitive peers. 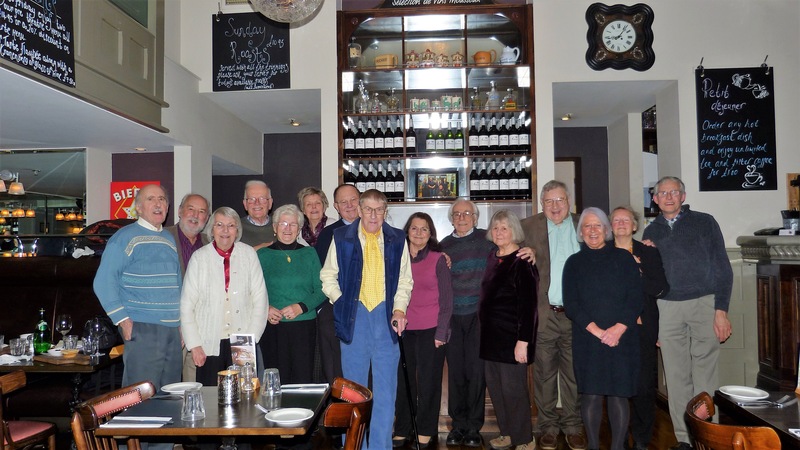 Happy faces at the Bistro Pierre, Leamington for our New Year dinner. Many thanks to Andrew for organising this. Many thanks to Andrew Ireland for arranging our recent Walk & Lunch social. 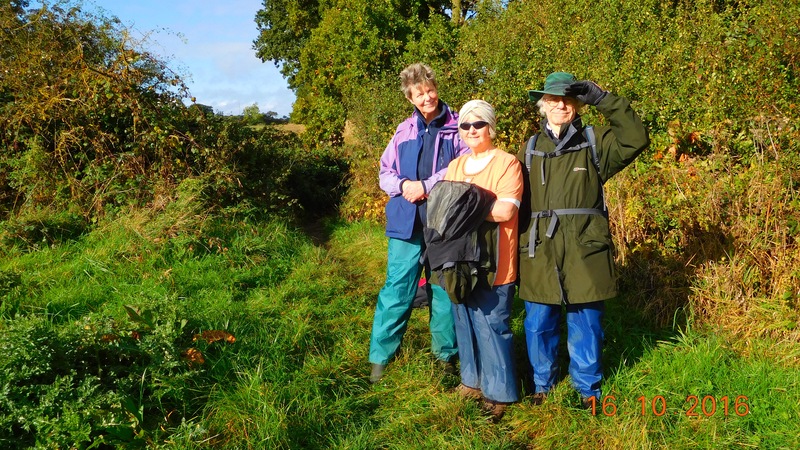 Here’s three of our walkers catching the sun. We are pleased to hear from John that he is back home after spending six days in hospital for a hip operation. The op was successful and his recovery is going well. Best wishes to you, John and we hope you are up and about soon.